University of Arizona Poetry Center reading co-sponsored by ASU Creative Writing Program, and Superstition Review. 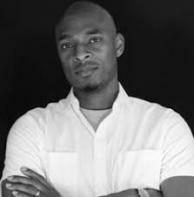 Terrance Hayes is the author of Lighthead (Penguin, 2010), which won the National Book Award for Poetry; Wind in a Box (Penguin, 2006); Hip Logic (Penguin, 2002), which won the 2001 National Poetry Series and was a finalist for the Los Angeles Times Book Award; and Muscular Music (Tia Chucha Press, 1999), winner of the Kate Tufts Discovery Award. He has received many honors and awards, including a Whiting Writers Award, a Pushcart Prize, three Best American Poetry selections, as well as fellowships from the National Endowment for the Arts Fellowship and the Guggenheim Foundation. In 2014, he was named a recipient of a MacArthur Fellowship. He is professor of creative writing at the University of Pittsburgh in Pennsylvania and lives in Pittsburgh with his family.